Parents often have the most questions about climbing–“My child has never done it before, will it be ok?” “Is it safe?” “My kid climbs all the time, will he or she be challenged?” Regardless their level, kids learn a ton about themselves from climbing. Even the smallest progress can feel like a mountain of accomplishment, which stays with a camper long after the climbing day is over. Take a look and learn more about how we teach rock climbing. Every camper at Avid4 Adventure receives a passport outlining the skills we’ll teach at camp. Given that campers have varying levels of expertise with our sports, instructors group campers according to ability to provide them the right level of challenge. Below is a list of skills we take campers through when rock climbing. By attending multiple weeks and summers, campers can master skills from Senders to Wall Rats! I can put on a helmet and harness with help. I have climbed part of the way up a rock climb outside. I have climbed all the way up a rock climb outside. I have been lowered all the way down off a rock climb in the proper position. I can name 5 pieces of climbing equipment. I have done a head to toe safety check before climbing. I can practice Leave No Trace while climbing. I can check a figure 8 follow through knot for safety. I know and use all the climbing commands. I can tie myself in with a figure 8 follow through knot. I use my body movements efficiently when climbing. I can name different pieces of climbing protection. I can identify risks associated with climbing like rockfall, ATC bites, danglers and improperly fitting gear. I can tie a figure 8, clove hitch and fisherman’s knots. I have belayed another climber. I have rappelled down a rock face. I am familiar with climbing techniques like hand-jams, stems, drop knees and heel hooks. I have placed protection in the rock at ground level. I’ve learned how to boulder safely. I can identify an EARNEST anchor. I have mock led a sport climb outside. I have mock led a trad climb outside. I know the difference between natural and artificial anchors. I can set up my rappel and back up method. I have used a tyrolian to cross a river. We use Black Diamond climbing equipment including Black Diamond Half Dome helmets and the Black Diamond Vario Universal harness. Our climbing gear is checked before and after every time it is used. Staff are trained to look for wear on all soft goods (ropes, harnesses and cords), and gear is retired if we have any concerns. We also strive to retire all ropes and harnesses after 5 years use. Please see the safety section on this page for more specific information on how climbing gear is used to minimize risk. 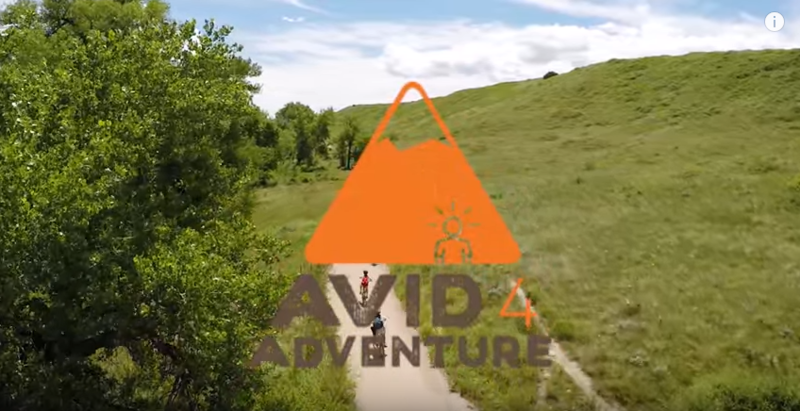 Adventure Camp – This is a multi-Sport camp (2nd-7th grade in Colorado and 5th-7th in California) that offers climbing one day of the session. Campers spend one day practicing scaling a local crag where they learn proper use of climbing gear, commands, and climbing technique. Rock Climbing – Grouped by grade and experience level, campers entering 2nd – 7th grades climb at local recreation areas every day of the session. They practice scaling local crags where they learn climbing technique, proper use of gear, commands, and climbing history. Rock Climbing Level II – Campers from 4th – 7th grade Campers bring their climbing skills up a notch in this level II camp, tackling higher grades and different rock types. Campers climb every day of the session at this single sport camp. Please visit the website page for your camp location to learn more about the climbing sites we’ll travel to. While no outdoor adventure is totally risk-free, we work hard to minimize risk. Every activity starts with an environmental briefing. Here, campers assess their natural surroundings and the potential risks involved. With the guidance of their instructors, they determine ways the group can minimize risk. As a result, kids learn how to approach new challenges with intelligence and confidence. Before the climbing adventures begin, all gear including ropes, harnesses and anchors are thoroughly inspected. Appropriate personal gear is checked for proper fitting before each climb. Campers are also taught correct climbing safety habits and language. We hire Lead Climbing instructors with extensive experience who must pass a rigorous safety and knowledge assessment. Instructors ensure that campers remain well hydrated throughout their adventures with extra water on-hand and reapply sunscreen regularly. All instructors are required to be CPR and Wilderness First Aid certified, and many have additional certifications. We take a challenge by choice approach to climbing where campers are taught to engage in new challenges and set goals that they feel comfortable with. We meet campers where they’re at and provide opportunities for skill development and personal growth. Q: What is my child attached to while climbing, and how do you manage their safety? At Avid4 Adventure we typically use a bottom belayed top rope system. “A what?” you may ask. We build an anchor (anchors are explained below) at the top of the cliff with a strong static rope. We then attach our campers to a dynamic climbing rope that runs from the climber up the cliff to the anchor at the top then back down to the ground, where a staff member belays. Belaying is the act of taking the rope in to always maintain tension on the climber and then lowering the camper smoothly back to the ground. This means campers can climb all the way to the top, just go part way, and they can be lowered back to the ground at any point. The anchor that we use at the top is always attached to a minimum of two independent points (for example: bolts, trees, boulders, cams). These two components are equalized and extended to the edge of the cliff using a rope, where we create a masterpoint using two independent carabiners. The whole anchor is redundant meaning if one element were to fail, the anchor will still hold. Our systems always rely on multiple points of strength and have a huge margin of safety compared to the load we expect to put on them. Q: How is gear checked? Our climbing gear is checked before and after every time it is used. Staff are trained to look for wear on all soft goods (ropes, harnesses and cords), and gear is retired if we have any concerns. We also strive to retire all the ropes and harnesses every five years. Q: How are staff trained for climbing? All camp staff are trained on 2 main safety components, a camper’s physical safety and emotional safety. For physical safety, staff are taught and assessed on the safest knots (figure 8 rethread), fitting harnesses and helmets and the latest belaying technique. Belaying is the act of taking the rope in to always maintain tension on the climber and then lowering the camper smoothly back to the ground. For emotional safety, staff are trained how to give campers a progressive approach to climbing that starts with an instructor demonstration then moves into teaching campers close to the ground to trust the climbing system and how to communicate with the belayer. How many staff are supervising campers during a climbing day? In addition to two instructors per group of 13 campers at a climbing site, an additional lead climbing instructor takes overall responsibility for safety at the climbing site. Lead climbing instructors have 2 days of additional training and an assessment. During this time staff work on building anchors, problem avoidance and solving and overall camper safety. These training days are run by an American Mountain Guide Association (AMGA) mountain guide (a certification held by only 130 people in the USA). Avid4 Adventure also strives to hire as many AMGA single pitch trained and certified instructors as possible.